Sometimes a great novel can be summed by the extraordinary gift of storytelling by a talented writer. One that simply makes you forget your reading a book, but makes you feel like you stepped into real life. For me, that is simply, Christopher Slater and his novel, PUP: A Novel of Accidental Heroism. 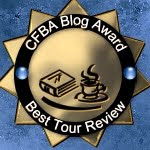 He was the winner of the authors first novel contest and after reading this book, you'll know with certainty why it was chosen. I can saw it almost feels like a Forrest Gump story, of a young man PUP who has just graduated high school and has his future set on college. Knowing the Second Korean War has begun along with the draft he feels confident that he will not see combat based on his ability to have someone take one look at him for a likely candidate to be drafted and simply look the other way. But that is not what happens. In fact, PUP finds himself heading toward the South Sea along with many other soldiers who have begun to join the fight, but for the life of him, can't understand why he has been chosen, while many of the others have been chosen based on their ability to bench press most of the weights in a gym, PUP resembles the bar alone. Not to mention that he is prone to motion sickness, and takes just about everything on the market for it. He didn't plan on it making him nauseous and gains him an immediate dislike by a muscle bound soldier who insist that if PUP is going to throw up, he is going to rip off his nose and eat it. He later learns that this man is his squad leader with the nickname Hannibal. Wonder why? The novel follows the coming of age that PUP will have to endure as he finds himself the FNG on the squad and will have to find ways to make himself useful to those who are on their second and third tours. Thinking he will be assigned to completing paperwork and requisitions, he is assigned infantry duty and soon learns the true meaning of pain when he heads out, fully loaded with no idea of how he will handle what war requires for someone like him. This one is a true trial by fire story of what so many of our young men had to endure on their first enlistments into fighting a war no one wanted to be a part of. I received PUP: A Novel of Accidental Heroism by Christopher Slater by The Story Plant Publishing for my honest review. I did not receive any monetary compensation for a favorable review and the opinions contained here are strictly my own. This is such a great novel because I feel it has a sense of realism to it that is lacking in many military novels. Like I stated above it feels like a Forrest Gump story of how one unlikely soldier suddenly finds himself an unlikely hero and learns the meaning of what it is to lay down one life for another. There is humor, humility and a sense of growing up too soon when war comes calling that must be experienced by reading this book. For me, it is a 5 out of 5 stars and one I would LOVE to see brought to the big screen. It's the story of one man being in the wrong place at the right time to make a difference in the lives of those he serves with! 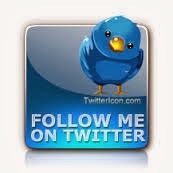 You can find Christopher Slater on Facebook to stay up to date on all his latest books. 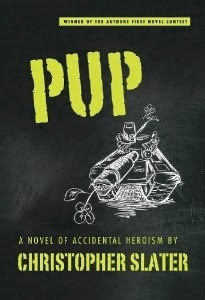 To preorder a copy of PUP: A Novel of Accidental Heroism from Amazon due out in June, please click here.